Richard “Butch” Ricker ’53 on January 26 was inducted into the Frankfort Hot Dogs Alumni Hall of Fame. This honor recognizes graduates of Frankfort High School who have achieved extraordinary lifetime accomplishments. Brother Ricker is one of eleven chosen for the second class of the Hall of Fame. 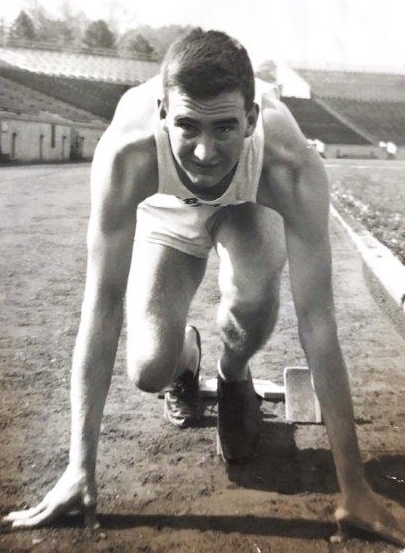 Butch Ricker ’53 during his Purdue track days. As a Hot Dog, Butch was the IHSAA Track and Field State Champion in the 440 yard dash and he also anchored the 880-yard relay to a 2nd place finish. He still holds the Frankfort High track records in the 100 yard dash and the 880 yard relay. He had the mile relay record for years, but that was broken in 1971 by a team that included Butch’s son, Dave ’77. He came back to his Alma Mater to teach Social Studies and World History, coached track, cross country and freshman basketball. In 1961, he was hired as the Frankfort High School Athletic Director a position that he held for 30 years. During his time as the Frankfort athletic director he never had a year where the athletic department lost money. 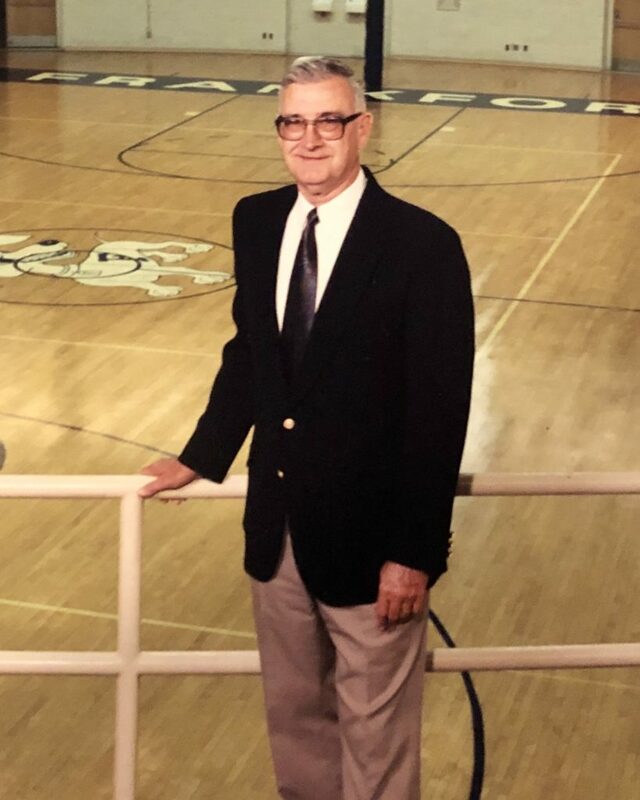 He was in charge of the new facilities that included a beautiful basketball complex, swimming pool, baseball fields, new track, football stadium with track, tennis courts, and cross country course. Girl sports were also added during his tenure. Brother Ricker earned a track scholarship to Purdue where he graduated with a Master’s Degree in Physical Education. While at Purdue, he was taken in by the brothers at Delta Delta. He had many lifelong friends from his fraternity days. Following graduation he served in the Marine Corps as a 1st Lieutenant. -and proud to be a Hot Dog! Thank you so much for writing the article on dad. He would have been so happy to be on the same page as Bob Friend. Mom loves to tell the story of going to a MLB game and dad walking down to the field and talking to Bob prior to the game. He was always proud to have guys like Friend and Bob DeMoss as brothers. Butch was my Father-In-Law. I have tremendous respect for him as a man, husband, father & a grandfather. He was a man of few words but when he talked people listened. He is the model for how a man should live & conduct himself. Those who knew him were better off for the relationship. He is most qualified for his induction into the Frankfort Alumni Hall of Fame! I was proud to witness his induction & relive some of the great memories of Butch! He is greatly missed.